So here’s a brief background. When we joined the EU, the UK was obliged to adopt the ECE helmet certification protocol. Before then, UK helmets had been subject to a BSI standard. It meant that there was a testing house and a team of people with nothing to do, so they lobbied the government about creating a new rating system that would sit alongside the ECE standard. The thinking was that it would allow motorcyclists to make better informed decisions, with a ranking system that did more than set a simple pass or fail benchmark. They claimed that their initiative could save the lives of many motorcyclists every year. The Department for Transport bought into the scheme, and Sharp was born. Sharp based its test methodology on a 2001 European Commission report that went under the title of COST 327. But importantly, SHARP deviated from that report on a number of its key recommendations. And the suggestion, by some, is that some of these decisions were taken to save money. One of the most significant factors was that SHARP decided to use solid headforms for its testing rather than the far more expensive biometric headforms that were recommended by the COST 327 report. The biometric headforms reflect the composition of real heads more accurately, and allow far more realistic measurement of impact absorption. 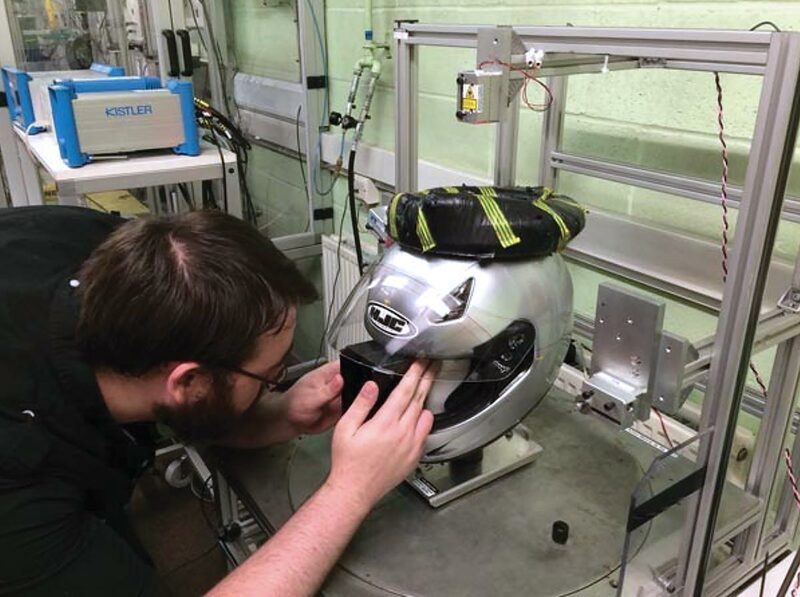 Recently Dr. Nigel Mills, a safety engineer from Birmingham University who has worked on helmet testing and designs for 30 years, called for the scrapping of the SHARP rating system on the basis that it was seriously flawed. He cited three key criticisms, and concluded that the current test regime is too simplistic. One of his key criticisms was that headforms used by SHARP don’t accurately simulate the human scalp. Of course, we as a seller of motorcycle helmets would welcome any system that allows us and motorcyclists to make better informed decisions about helmet safety. After all, it is true that the ECE 22/05 standard operates on the basis of a pass or fail. We don’t think that this is particularly illuminating. 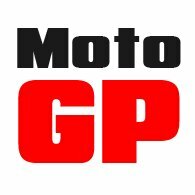 What we know, of course, is that in LDL supermarkets, and indeed from some bona fide motorcycle apparel retailers, you can buy an ECE approved helmet for just £25. The ECE certification makes no distinction between such a helmet and a £500 Shoei replica of a helmet worn by a Moto GP rider, so the ECE certification can only be viewed as a very basic, minimal standard. 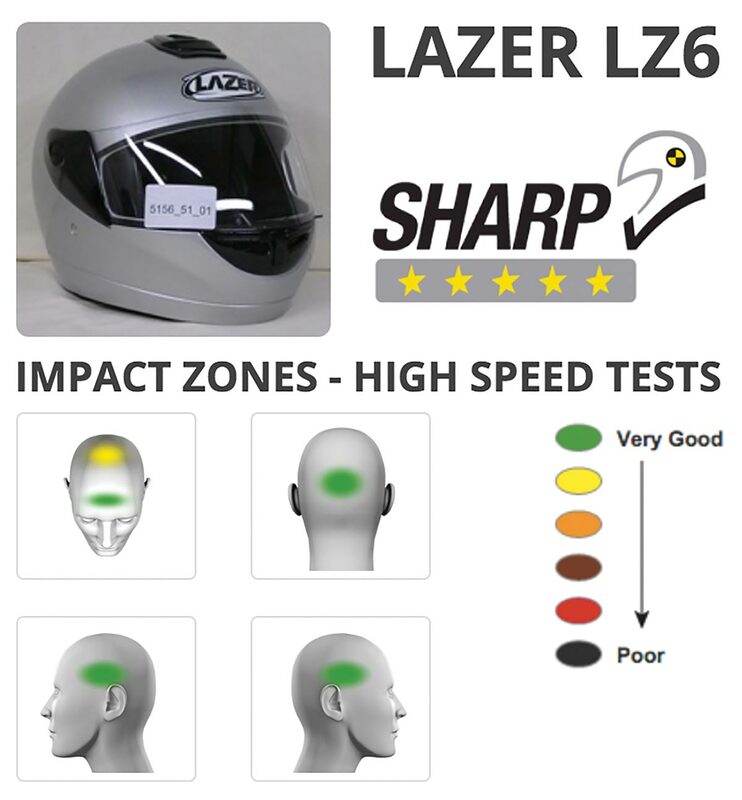 But one of the problems for us with the SHARP regime is that one of the first helmets it tested was a £50 Lazer helmet, to which it awarded its highest accolade of five stars. Now, we would not wish to be disrespectful to Lazer, and this helmet might truly have been capable of punching well above its weight in terms of safety. But again if a budget helmet scored five stars, then it kind of suggested that this was as good and as safe as a motorcycle helmet could get. And this doesn’t seem credible to us. At the same time as Sharp tested the Lazer, some much more expensive helmets from brands that were well known in racing circles scored less well. Were these helmets really less safe to wear than the Lazer? Or was there something about the testing methodology that caused it to favour some forms of construction over others? Some have criticised, for example, the height at which SHARP tests for side impact, and it has been suggested that the heavy edge mouldings that are a feature of some cheaper, thermoplastic helmets helped such helmets score more highly. We are not technical experts, and we do not have the scientific knowledge to make such assertions on our own behalf, but there are helmet experts in the industry who are of this belief. 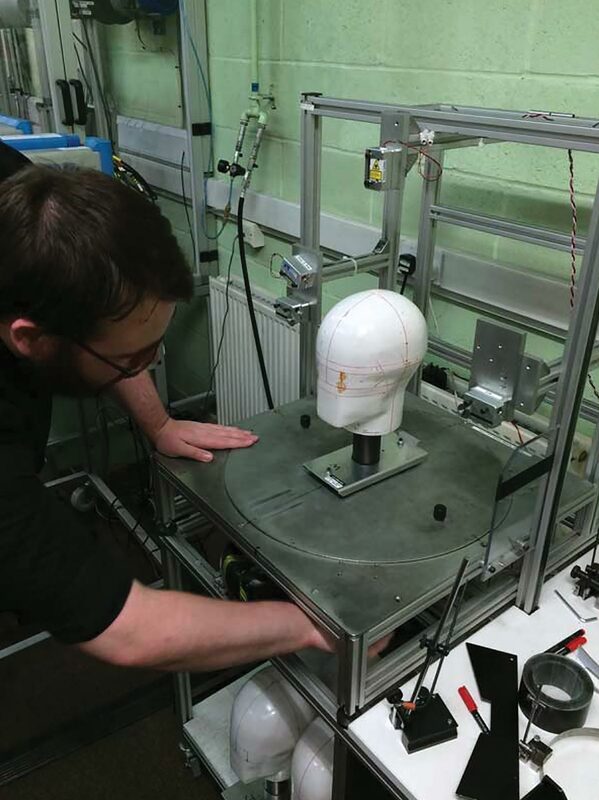 As there are who believe that a helmet manufacturer can prepare its helmets to perform well in the test, by placing reinforcements in the key impact zones. But one of the key concerns with the SHARP system, for almost everybody, is that the test criteria for measuring the safety of a helmet were never agreed. Independent researchers were not in involved in agreeing the details of the energy absorption levels that would dictate whether a helmet would receive a three, four or five star rating. There was no public debate. 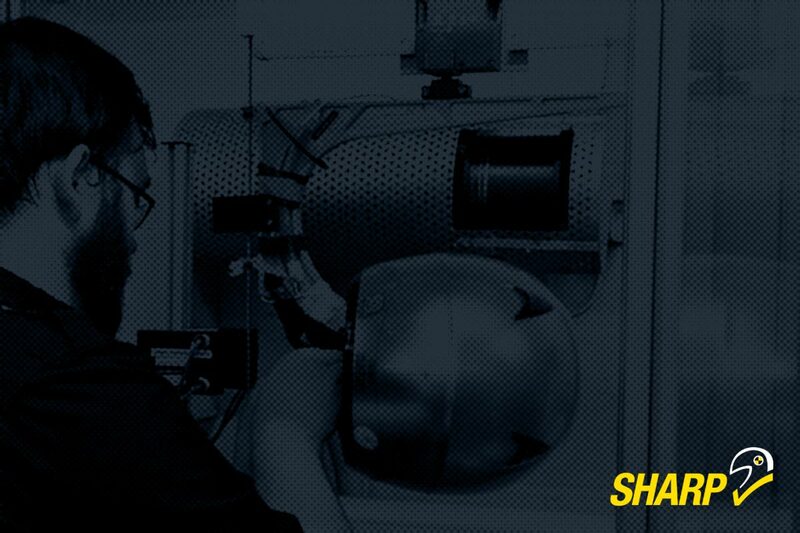 Clearly, this is a very technical area, but what we know is that many in the industry are very sceptical about how meaningful the SHARP test results are. Some of the manufacturers we talk to are totally dismissive when it comes to SHARP, viewing it as little more than a specific UK market inconvenience that has little impact on their global commitment to producing safer helmets. Some manufacturers, by contrast, are great supporters; using their awarded star ratings in their worldwide marketing. These manufacturers tend to be the ones who score well in the SHARP testing. Whether these makers really do make a safer helmet is open to debate. But given that some budget helmets continue to score well on SHARP, one is left wondering whether the scheme is sometimes being hi-jacked for marketing purposes rather than being used as a vehicle to improve safety standards. All we would say is this. If you come into our shop, and tell us that you are only interested in a helmet with a five star SHARP rating, don’t be surprised if you detect a very slight upward roll of the eyes. We take safety as seriously as anybody. In fact, we think we take safety far more seriously than most retailers. We won’t sell you an illegal, DOT approved helmet because, frankly, they’re not up to the job. And for the same reason we don’t offer budget helmets. If protecting your head is only worth £100, then we’re not the people for you, although many of the larger players in this market have no such qualms. And because safety is at the forefront of our thinking, if you come and visit us in Guildford, you won’t walk out with a helmet until we’ve fitted it, and made sure it works on you. Because even the best helmet will only protect you if it is properly seated. But from what we have gleaned from our years in the business, we are not convinced that SHARP really does allow motorcyclists to make meaningful judgements about the right headwear for their motorcycling. If it really did do what it set out to do, we would back it to the hilt. Personally, we think the results are too random, and that the methodology is flawed. Some might suggest that Sharp offers the best guide we’ve got, but if the test results don’t reflect the reality of helmet safety then the scheme might be considered to be, at best, misleading; and at worst positively detrimental to the well-being of motorcyclists. Want some more? Please click here to return to our editorial menu.